Our repositioning and rebranding of the X-drinx energy drink modernized the brand to keep pace with their expanding demographic. What began as a drink targeting a limited Gen-X snowboarder market had evolved into the go-to drink for graveyard shift workers, truck drivers, bus drivers and anyone in need of a strong energy boost. In repositioning the brand, we took care to not alienate existing customers, by keeping the core element backgrounds, while updating the brand name and logo to appeal to a 20-45 year old consumer. While X-drinx had led the pack of energy drinks featuring scrawled looking graphics, it became lost in a sea of such designs as other manufacturers mimicked the brand’s look. Our redesign restored brand presence on the shelf. The resulting increase in brand recognition was phenomenal. 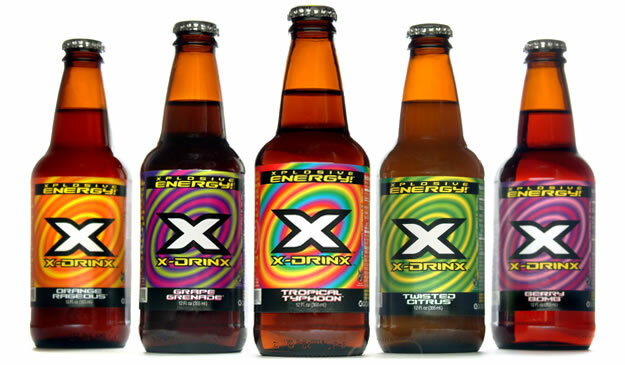 Where customers previously called the brand by several different names, after the rebrand, they consistently asked for X-drinx.